Nearly everybody loves goldfish. Even if we don’t keep them at home, we’re fascinated by these bright little fish swimming about wherever we see them. Many business localities maintain at least one aquarium on the premises simply for their own pleasure as well as for an additional attraction for visitors. Generally speaking, common goldfish are quite inexpensive and almost anyone can afford at least a small aquarium although those tiny bowls are really not adequate nor are they fair to the goldfish who must live as if locked in a jail cell for a crime they didn’t commit. As far as we know, the goldfish was the first or at least one of the very first fish to be domesticated and kept as pets. While we call them goldfish, they can be of many combinations of colors while a deep orange, almost red is probably the most common. They’re closely related to the carp family which also includes koi, a much more expensive breed of fish. It is believed the first goldfish, in an earlier, less colorful costume perhaps were domesticated in China several thousand years ago. For the scientific minds out there, they are also known as Carassius auratus, but most people believe goldfish is a more fitting name and easier to pronounce too. Of course, in the beginning, when the ancestors of goldfish were first domesticated and kept in China, their lives weren’t so easy. 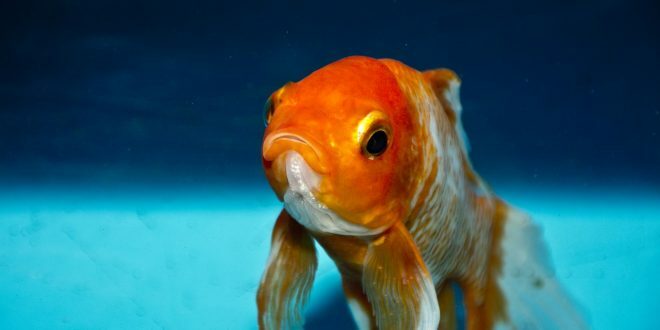 Most historians believe the Chinese began cultivating these goldfish ancestors in ponds for food, not for their pretty faces. Later on, around 1162 the empress ordered a pond to be built so she might have her own collection. In China, in those days yellow, being the imperial color, people outside the palace were not allowed to have any yellow goldfish, so they had to stick to the red and gold types. Some years later, people began to keep goldfish indoors because of the extremely cold weather that often occurred. Sometimes, in winter, many fish didn’t survive. Eventually, goldfish began to spread about the world as more and more explorers and ships came and went. Goldfish have always been very popular in the United States. Sometimes people having to move, or for other reasons, have to dispose of their goldfish, and free them into a river or lake. This appears to be an innocent, even benevolent gesture, giving the fish much more room to swim. Unfortunately, in such conditions, these cute little goldfish can soon turn into real pests. Generally speaking, fish attain a size that fits their tank and stop growing. When in a larger body of water, some have been known to attain a length of some sixteen inches and live for as much as thirty or even more years. With fish weighing around four pounds and can be quite damaging to the environment. They often poke about in the bottom uprooting plant life and disturbing the bottom soil. While performing these destructive actions, they also begin to change shape and color and are no longer the cute and colorful fish they used to be. It’s difficult for some to believe the difficulty we meet in trying to get rid of these invasions. Goldfish can swim great distances and of course when they spawn the population expands at an alarming rate. Some scientists, despite appearances, believe goldfish to be pretty intelligent and able to make decisions for themselves. As noted, we should never free goldfish into the wild. If the fish are healthy, is may be possible to find a friendly home for them with friends. With sick goldfish, there is not always a great deal that can be done. Some suggest that putting the sick fish on ice will put it humanely to sleep. (Fish are cold-blooded, so the effect of ice is not the same as it would be if we were placed on a block of ice). 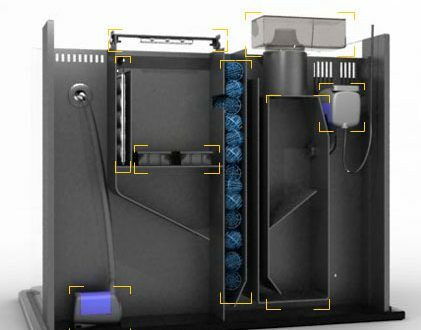 Experts unanimous suggest you not put dead or dying fish into the toilet. There is always that small chance that it will survive the ride and end up in a lake or river. In some areas, the Fish and Wildlife Conservation Commission may offer amnesty days during which they will accept any exotic animals without penalty, and that could include goldfish. Nearly five hundred million goldfish are sold yearly making the goldfish the world’s most popular pet! Not bad for a little fellow who can’t cuddle up to you or make any purring noises. Like trees, goldfish have rings. 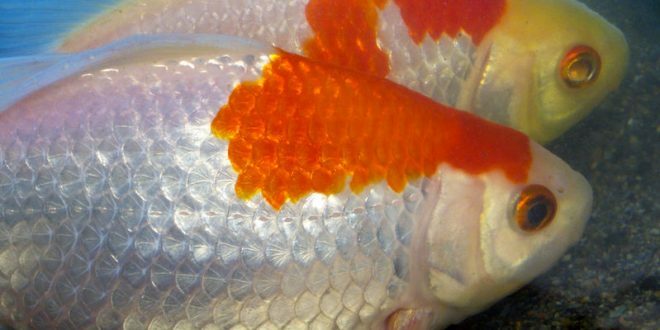 Each year a new ring of scales circles the goldfish’s body but because of their tiny size, you’re unlikely ever to be able to see them. Like most fish and other aquatic creatures such as frogs, goldfish will eat anything that fits into their mouths. That can mean their own babies as well, so if you ever see tiny fry swimming about, you may want to put them into a smaller aquarium until they’re big enough to defend themselves. An interesting sidelight to keeping goldfish, and you can quickly see for yourself, is that they’re able to distinguish and recognize faces. If one member of the family feeds them on a regular basis, they’ll soon see the “fish feeder lady” or whoever coming and swim over to her (or whoever). 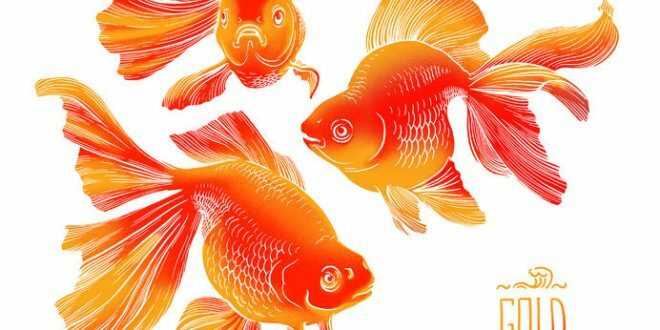 The goldfish you find on sale in stores will probably have come from breeders in far-off mysterious places like Thailand, Japan, Indonesia or perhaps China. While these have the familiar coloring we know and love, the same fish in the wild are invariably a dark olive or gray color. Though, as mentioned above, goldfish are normally one of the least expensive fish available, some of the really choice goldfish can cost upward of $150.00. Hardly a desirable price point for the first-time goldfish buyer! As a last word, there are many goldfish with different names and shapes. The comet is aptly named because it zips quickly around the pond flashing its golden light as it goes. Fancier cousins with larger, butterfly wing-like tails make good additions as do any of the others you’ll find at any aquarium store. When shopping for any water pets or plants, upon entering the shop, look carefully around and smell the air. Is the place clean, well-lighted and have a pleasant smell? Not every shop is as careful as it could be and you want to give your trade only to a clean shop where the owners obviously care for their store and its pets. So feel free to browse our articles and guides and research carefully before getting one or two.